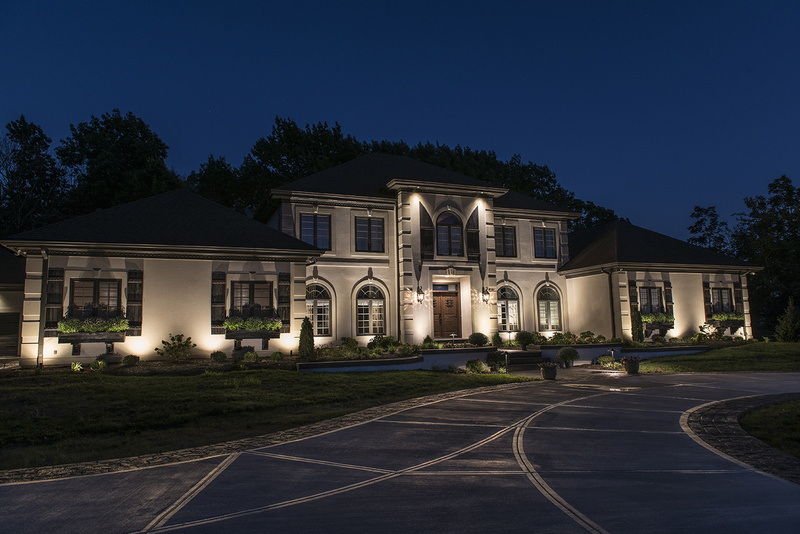 This home is situated about 500 feet off a major road and the homeowner wanted it to be visible when he pulled into the development. 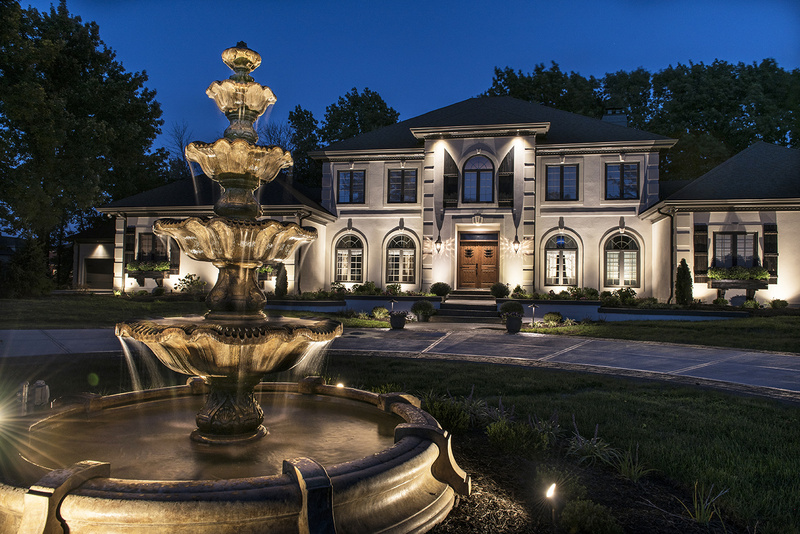 We accomplished the architectural illumination using up lighting and down lighting together. 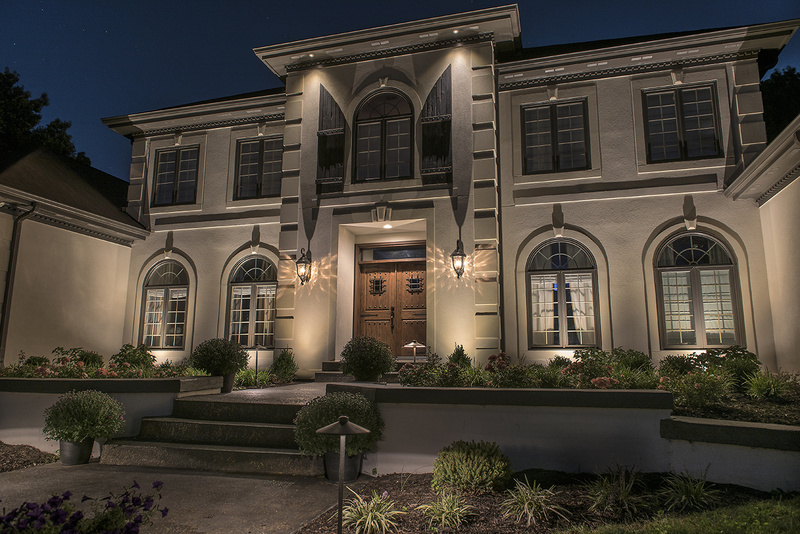 The warm tones of the stucco walls glow nicely in the warm light and make the home very inviting. 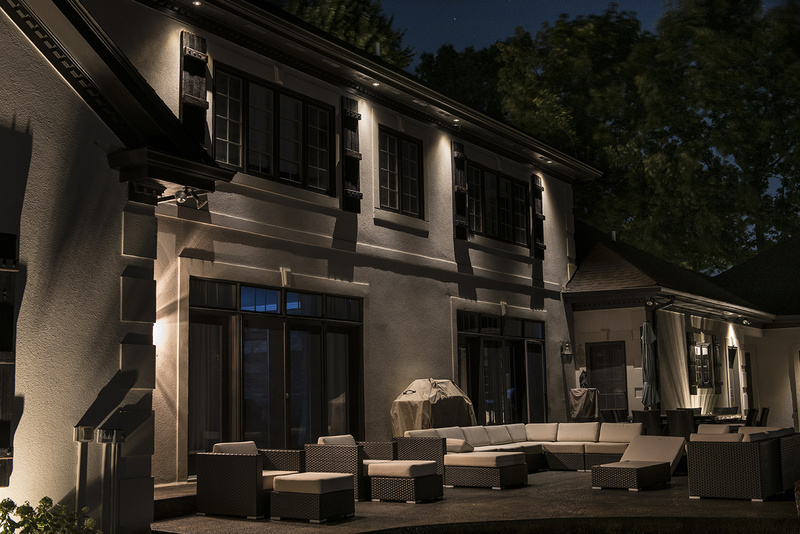 The illumination also adds a very high degree of security due to the soft, but even lighting around the doors and windows of this beautiful home.